Previews found and read off of AniChart (http://AniChart.net). Website shown in the video is AniChart. Make sure to visit and bookmark them. Characters and copyrights for the series and films presented both there and in this video belong to their respective owners. Cardcaptor Sakura, Sakura Kinomoto, Li Syaoran, and all related characters and intellectual property belong to Clamp, Studio Madhouse, Funimation, and any other person or entity they belong to not explicitly named here. This video is a review and uses clips to illustrate our points; it is Fair Use by law and in practice in both Canada and the United States of America. Questions/concerns should be directed to tfgtg2@gmail.com with the subject line "Re: Cardcaptor Sakura reviews." Star vs. The Forces of Evil, Star Butterfly, Marco Diaz, and all related characters and intellectual property belong to Disney, Disney XD, Daron Nefcy, and any other person or entity they belong to not explicitly named here. This video is a review and uses clips to illustrate our points; it is Fair Use by law and in practice in both Canada and the United States of America. 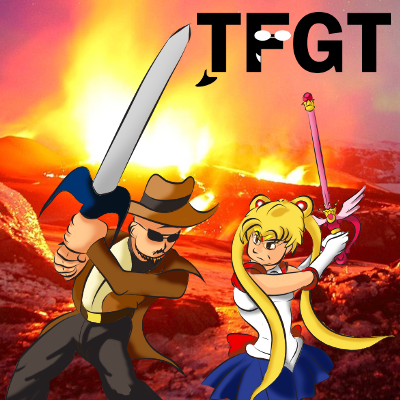 Questions/concerns should be directed to tfgtg2@gmail.com with the subject line "Re: Star vs. The Forces of Evil Anime Rave reviews."